I can understand the frustration! First you were looking for working root method to gain root access on your Android device. But I see you’ve now rooted your phone but getting an issue with the root management app SuperSU and getting a message error “Unfortunately SuperSU has Stopped“. The step-by-step instructions will help you to resolve the issue so that you can get most out of root access on your device. The error is mostly experienced on the Galaxy Note 2, Note 3 and Note 4, S3, S4, and S5 running Android Jelly bean and KitKat. 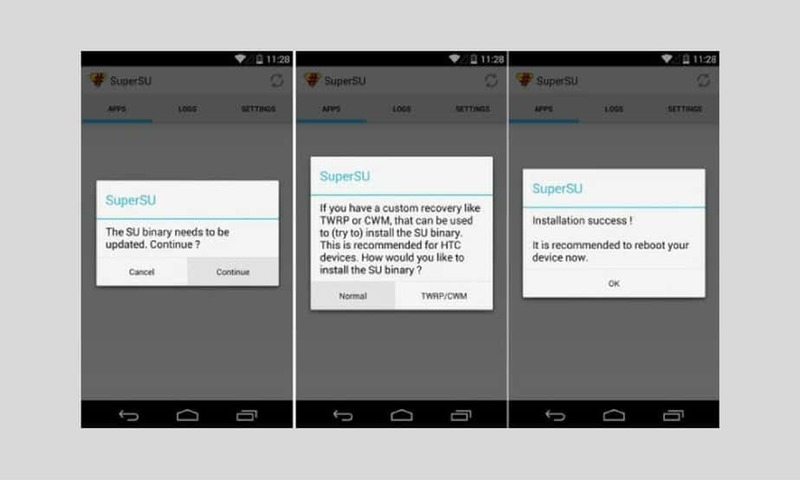 First you need to download the latest version of Superuser.apk. Connect the apk file to your phone. Using any Android file manager, install the apk file. Finally launch Play Store and search for SuperSU and install it. Once installed, launch SuperSU app and it will automatically prompt to update the binary and will also block the Knox security which is the main culprit. I hope doing the above process will fix the issue, if in case you’re still experiencing the same issue. I have got alternative solutions that will surely help you to get rid of the error that is causing with app root permissions. Step 1: Navigate to Settings app on your Android. Step 2: Scroll down to Application Manager. Step 3: Tap All Application. Step 4: Find and choose SuperSU app. Step 5: You’ll need to do 2 things over here; Clear Cache and Clear data. Thanks for reading. Hopefully you’ve now a found a solution that could help you to get rid of the annoying error. Don’t forget to let me know in the comment section with your feedback. Your feedback will help us to improve the article and make it one of the best guide for users experiencing the same issue.